This week Creative Chair is in Mumbai, India, where we’re talking to illustrator/typographer Sabeena Karnik. Sabeena makes beautiful designs using coloured paper. 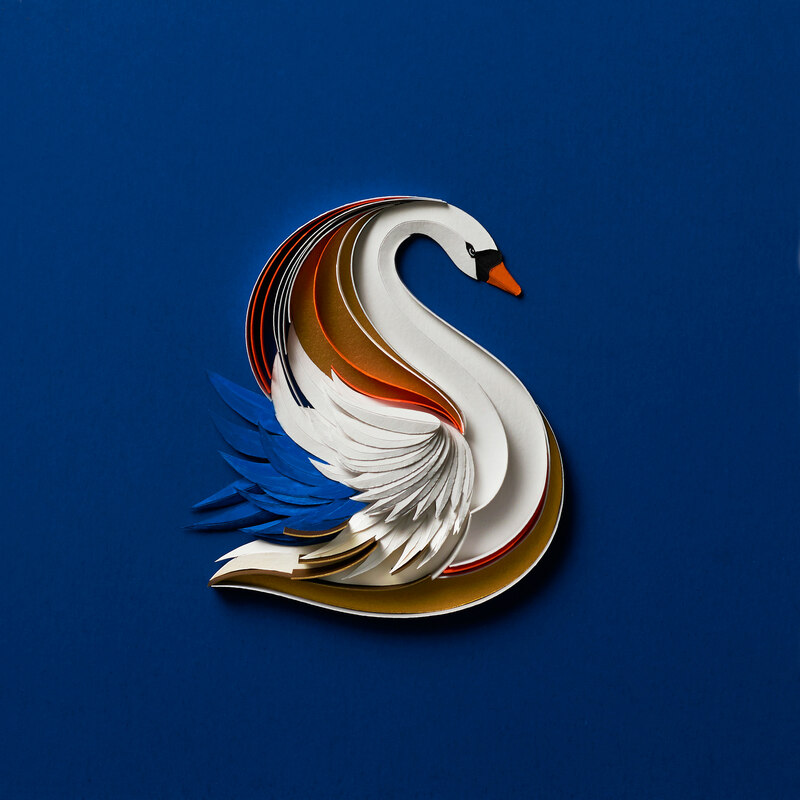 Often intricate, these creations show great care for the use of colour and typography. You can see a lot more from Sabeena Karnik on Behance. 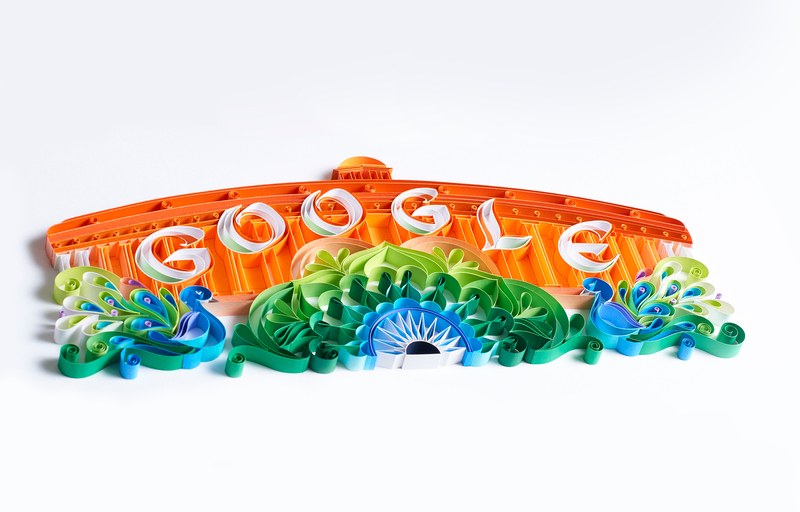 What were your inspirations behind the design for Google’s celebration of India’s Independence Day and how long did it take to create the outcome? For the Independence Day Doodle, I had to use the parliament building which was the mandatory element told to me by the art director of Google Doodle. Using that building as the main body, the rest were all symbolic features added by me like our national bird (peacocks), the colours of the Indian flag, including the blue wheel at the centre which formed part of the traditional Rangoli design that is made during Indian festivals. The Google logo was incorporated inside the pillars of the building making it look like a part of the architecture. I wanted to create a design which had contrasting features inside it, one being the straight structured pillars of the parliament building and the other being colourful decorative peacocks along with Rangoli. The design had to evoke a sense of pride and unity in the viewers, which I hoped to accomplish. The entire project took a span of two months from approving the sketches, to the final photo shoot of the art. 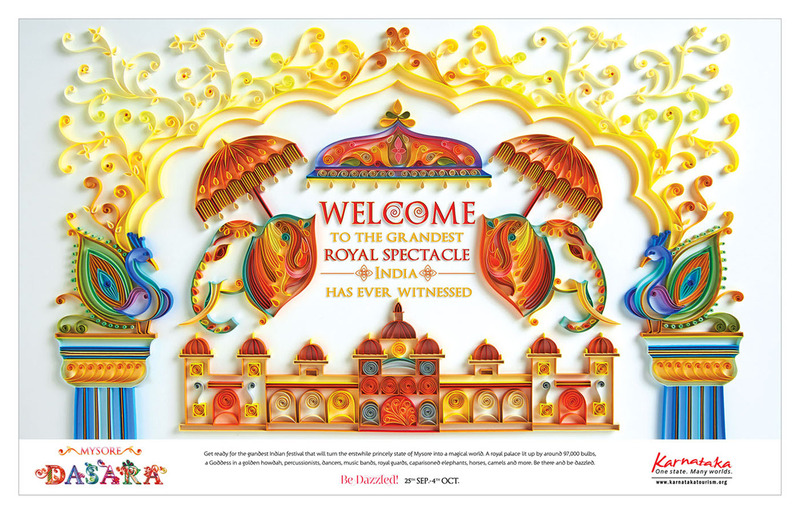 My most challenging project was for promoting an Indian festival for a tourism campaign (Karnataka tourism) It had more than 60 hours of work put in about four days. The size was massive with many details like a palace building and royal elements. 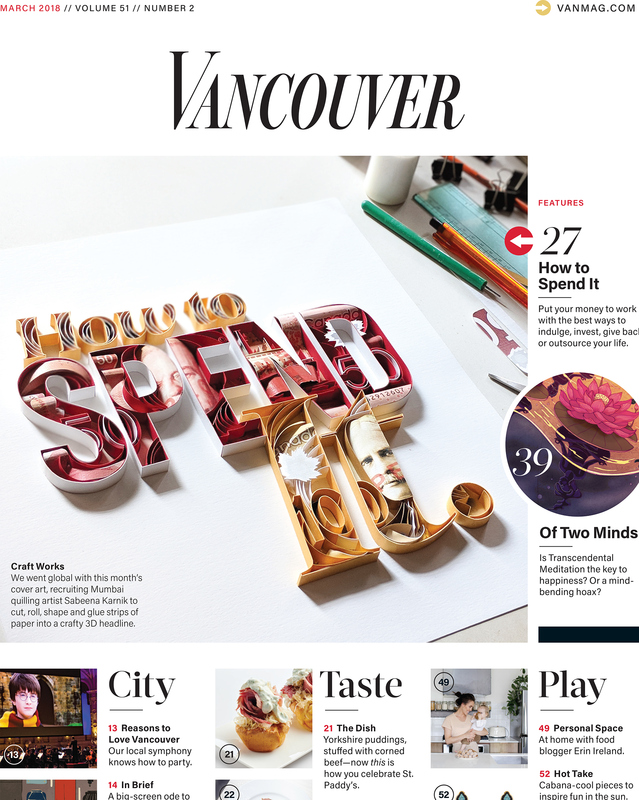 Another recent project was for Vancouver magazine. I had to create typographic illustrations using Canadian money. Although I didn’t use the actual currency notes (prints of the notes were used), I was apprehensive of the outcome and hoping not to devalue it through the art. Eventually, it was a truly satisfying and breakthrough experience. Do you follow a process while creating your pieces of type, whether that be a sketch or digital design beforehand? My process is like every other designer. It always starts with sketches putting down all the ideas that are in mind and making it into a harmonious-looking composition. After approvals from the client, I make the final clean drawing adding colours if needed, then proceed to create the illustration with paper. I don’t make any drawings digitally; everything is hand done without the use of computer software. Do you prefer personal or proffesional projects? There’s a part of me that enjoys creating art for myself since that has more freedom and no restrictions. If I make a mistake, I’m not losing anything. Whereas client work comes with certain limitations as you have to please and follow the guidelines making the design fit within that. In this process I’m always happy with the end result as is the client. It’s the experimentations that I miss in client work. I would wish to be reincarnated as a composition by Johann Sebastian Bach ‘Air’. It has the perfect melodious notes which any person can interpret since there aren’t any vocals and lyrics. Sabeena Karnik is the 137th Winner of our 366 Award.